The best games in virtual reality by type of games. Ahead of VR games for all tastes and all kinds of gamers. The best games on PlayStation VR, Oculus Rift, HTC Vive and Oculus Go. 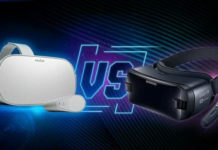 There are many comparisons of the best games in virtual reality. This time, we propose The best VR game (it is always subjective), according to our writing, for the different genres that exist in gaming. Robo Recall is an arcade game that also uses first-person shooting and Shoots them Up. Developed by Epic Games, this virtual reality game is considered the best VR arcade game. It is only available on Oculus Rift. Lone Echo and his cousin Echo Arena are two games developed by Ready At Dawn for the Oculus Rift. Using a zero gravity mode of travel, a little disturbing at first, these two games, which mix adventure, exploration, and simulation, brought an entirely new VR gameplay. Very well served by high-quality audio, Rez Infinite plunges you into a psychedelic universe. This is a real shooter. Available on PlayStation VR, Oculus Rift, and HTC Vive, this independent action game is worth the detour. Resident Evil VII: Biohazard is recognized as the best terror game in virtual reality. Difficult not to have cold sweats and bursts of dread with this survival horror. Available on PlayStation VR, this is one of the most played VR games. With Marvel Powers United VR, you’ll be able to put yourself in the shoes of your favorite superheroes, such as Spiderman, Captain America or Rocket. Well served by beautiful graphics, the game allows you to use the powers of each of them to overcome enemies. Marvel Powers united Vr is only available on Oculus Rift and becomes one of its reference exclusives. SuperHot VR is a perfect surprise. It’s not just a shooting game. Here you can use the movements and slow-motion found in the movie Matrix. Available on PlayStation VR, HTC Vive and Oculus Rift, you will be blown away by the effects. Firewall Zero Hour was released in late August on PS VR, and its success was immediate. In just a few days, the virtual reality game has become the most downloaded game of the month, dethroning big names from the podium. This is a game that will ask you to set up tactical fights with various firearms. Collaboration with other players is particularly important because it’s not about shooting at all but developing group tactics. Firewall Zero Hour is only available on PlayStation VR at the moment. It is possible that in the future the game will pass on other virtual reality headsets. Developed by Ubisoft, Transference wants to remove the border between video games and cinema. 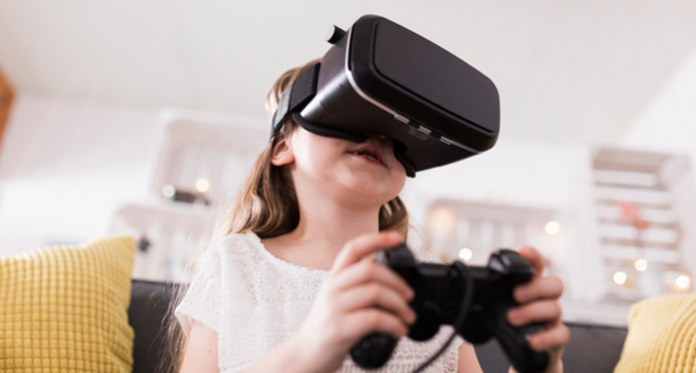 Blending the narrative of a sci-fi film in the form of a psychological thriller and the interactivity of video games in virtual reality, the result is particularly successful. In the way of a survey, the player will explore the memories of different members of the same family. Very successful even if we regret the lack of theatrical and suspense. The game alternates between the images of the game and those of a real fiction filmed with actors. The visual effects and the soundtrack are particularly successful. The atmosphere is quite scary and worthy of a real psychological thriller. Available on PC and console, the game takes all its dimension in virtual reality. Transference is available on Oculus Rift, HTC Vive and PlayStation VR. Some players, however, regret a price a little high (25 euros) for a lifetime is quite short because it is that of classic film production is about 1 hour and a half. Gorn is a gladiator type fighting game in an arena. This VR game is full of violence, gore, and brutality. The only limit to this carnage your imagination. Available on HTC Vive and Oculus Rift, Free Lives to develop the game. Skyrim VR is, for many, THE best game in virtual reality today. Very neat and prosperous, the game is a huge success even if the current technology limits it. Available on PS VR, Oculus Rift and HTC Vive, this adventure game in VR will delight fans of role-playing.